The gradually brightening light ensures you wake gradually, feeling refreshed & ready to go. 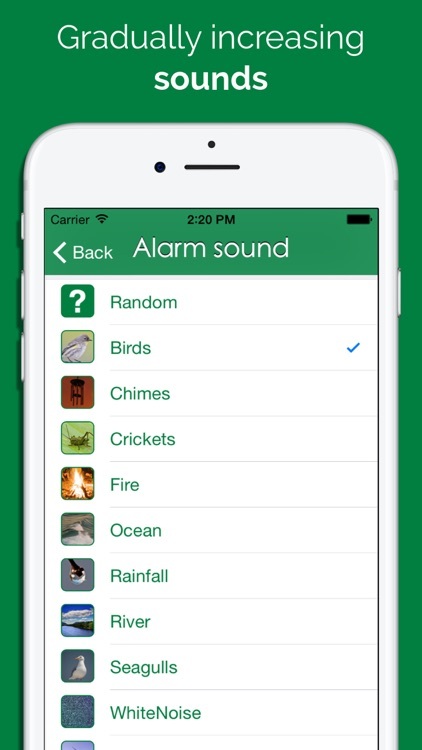 Alarm sounds including Birds, Chimes, Crickets & many more, mean you can wake up to the sounds of your favourite places. Our user friendly design & default settings mean even technophobes can start using the app straight away. 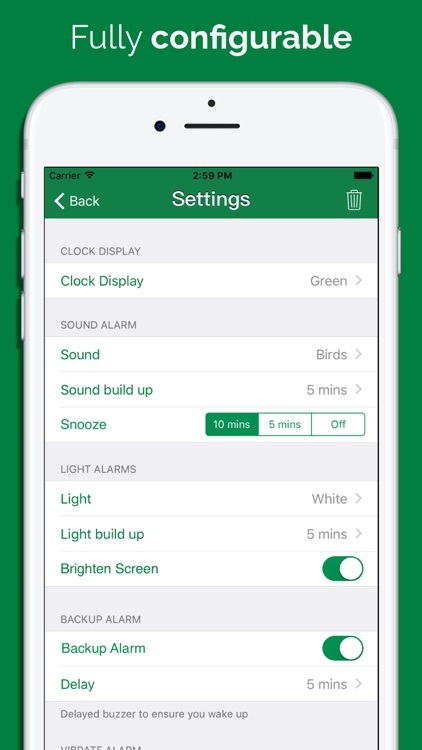 Configure all alarm buildup times, vibration alarms, snooze function and more. Meaning you can decide exactly how you are woken up. Configure clock display brightness, themes and more, so you can personalise your own clock. 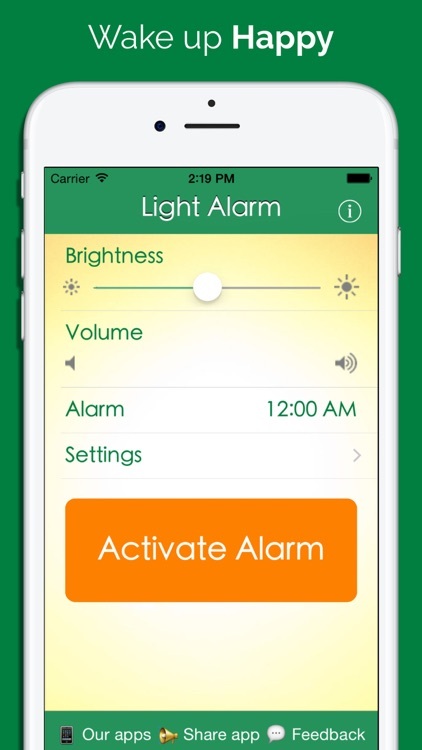 This app is free, so compared to other Sunrise Alarms sold in shops you save lots! 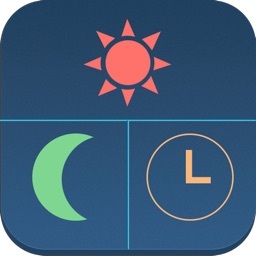 Dim the screen at night with the brightness slider & use the flashlight in the morning for extra sunshine simulation. 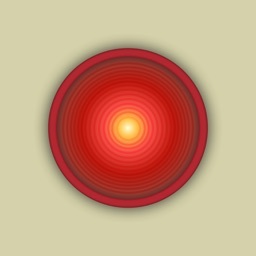 "This application is the best thought out alarm application ever. Not only has it got a great interface, but it manages to Wake me up gradually, almost naturally, with its buildup alarm mechanism. No more abrupt Wake ups in the morning. Great job!" 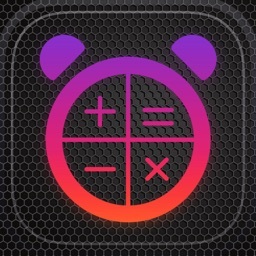 "It works very well - I was worried that I would not wake up without my normal alarm clock noise so had it set up as a back up just in case - but I didn't need to! I woke up to the sounds of birds chirping no problem, a lovely way to wake up." "This application is the best nature related alarm I've come across for my iPhone, & I've been looking. The bird sound Could just as well have come from an open window. Excellent sound quality..."
1. 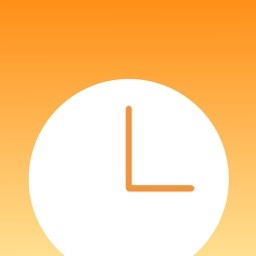 Simply update the alarm time (if required). 2. Amend any settings you wish to update. 3. Press 'Activate Alarm' button. 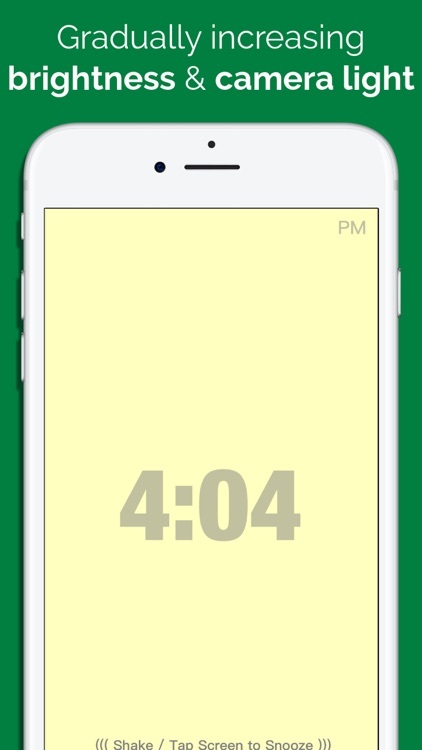 ● To reduce screen brightness at night use in-app clock display dimmer. ● Keep device plugged in overnight (for battery life). 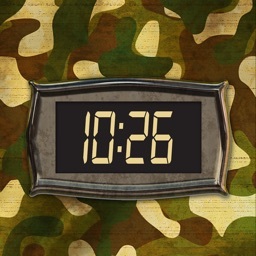 ● For important appointments, please use an external secondary alarm clock as a backup. By downloading this app you acknowledge that, Seligman Ventures Ltd cannot and does not assume any responsibility for, and shall not be liable for, any damages or expenses you may incur as a result of any inaccuracy, incompleteness or obsolescence of any information or functionality contained in this app and will not be liable to you or to any other party for any direct or indirect damages, any special, exemplary, punitive, incidental, consequential or other damages (including, but not limited to, lost profits or lost time), whether based on contract, tort, strict liability or otherwise, which arise out of or are in any way connected with any access to this app.